Yesterday, Nathaniel handed me my shoe and signed 'please.' I think he was trying to tell me he wanted to go out but it was only 11:30 in the morning and we usually go outside later in the afternoon when it's closer to the time my husband comes home from work. So thinking it was just a fluke, I put my shoe on to satisfy the little guy's request but quickly took them off and placed them right where he found them (next to the door). He proceeded to hand me my shoe and so on the third time, I let him grab my hand. Nathaniel walked me to the door, pointed to it, then tried to open it himself. I finally admitted defeat and put his shoes on and took him outside. 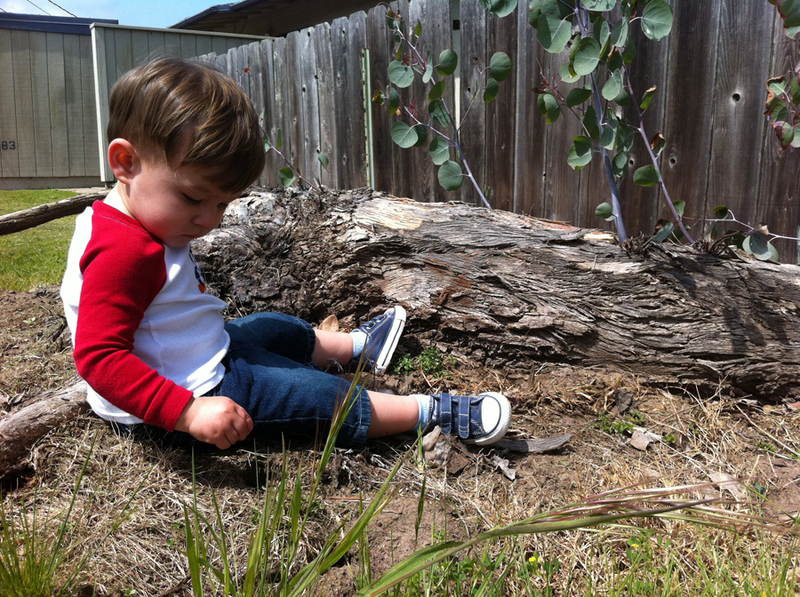 Nathaniel quickly found a little patch of dirt and did not even think twice about getting dirty. 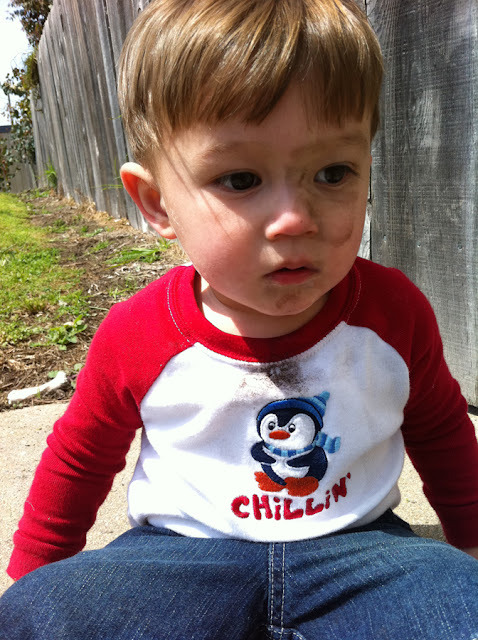 For the past couple of weeks, I have definitely loosen up and finally let him play on dirty, messy places. 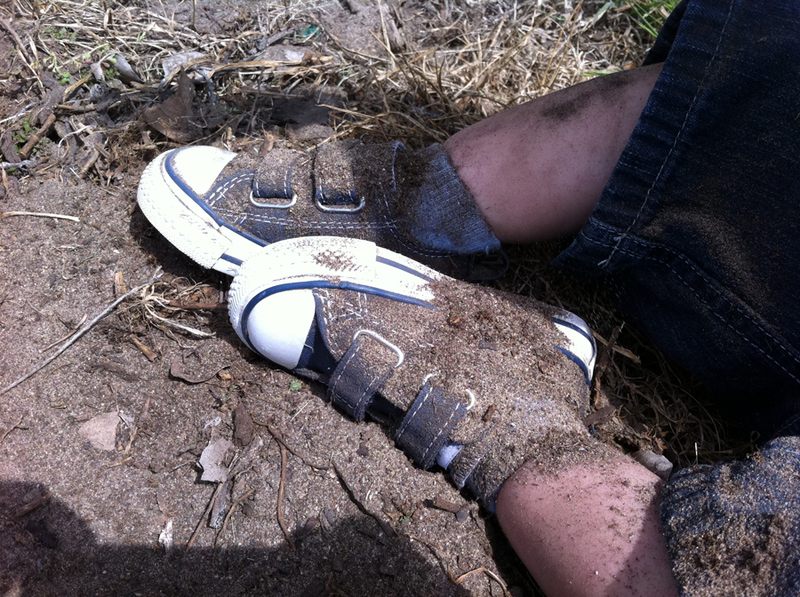 He dirtied up his newly bought shoes, too! 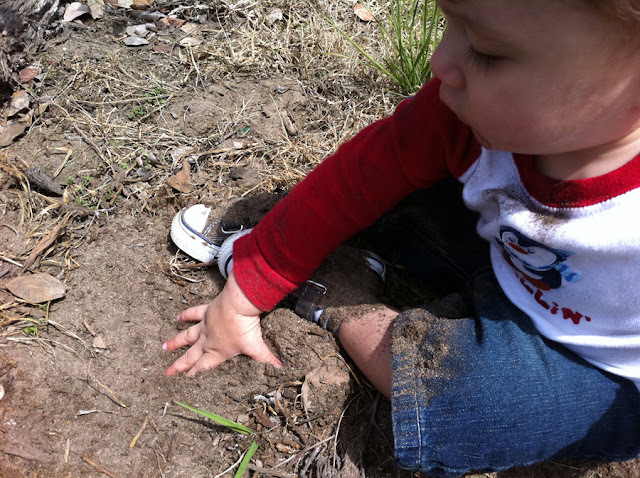 He really enjoys digging his little fingers in the dirt and picking up the little bugs that he finds. 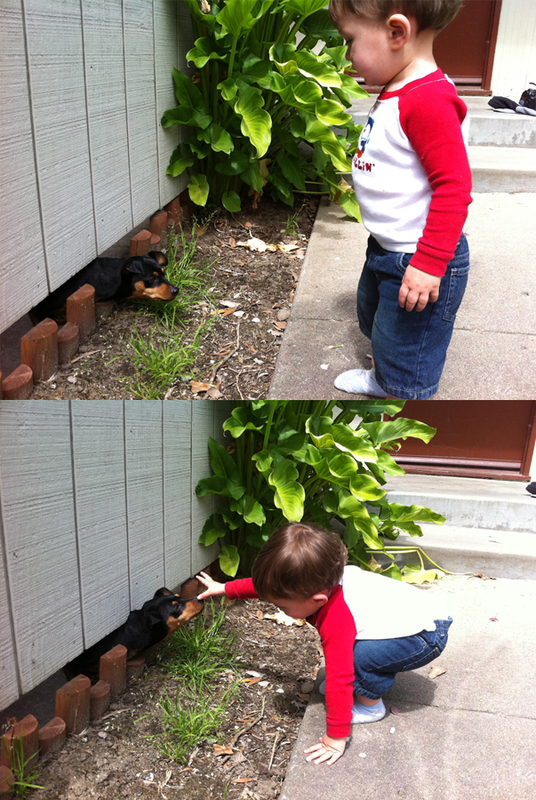 Hey, puppy! Where did you go? I thought about turning on the sprinklers but it's never hot enough here that the water is warm, too. Maybe when we move to Texas, which is less than two months away! And so I just cleaned him up the old fashion way. 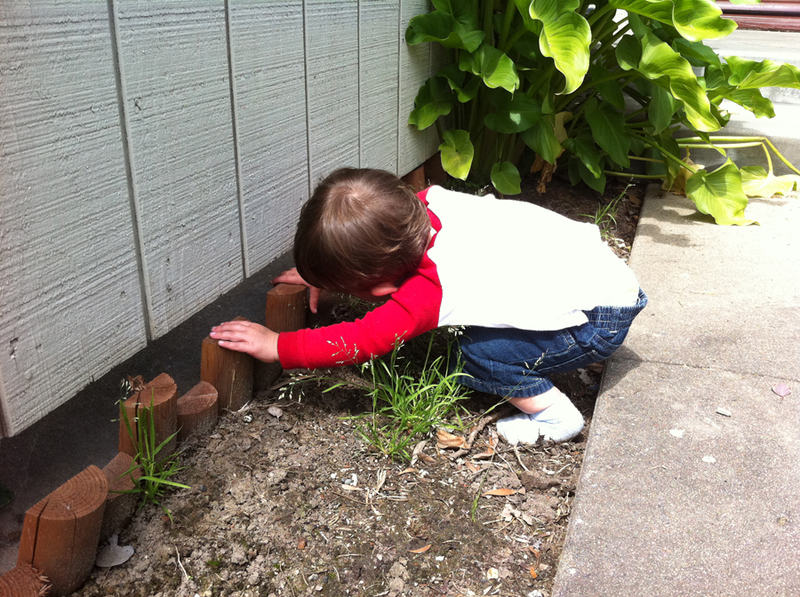 It's the next thing I'm working on about being a lesser clean, control freak when it comes to our child(ren). I need to accept that a quick wipe and/or wash of the face and hands is sometimes sufficient enough. I tried to lay him down for a nap afterwards especially since he usually takes his bath right before bedtime. But I guess he was really hungry from all the playing and therefore could not fall asleep. 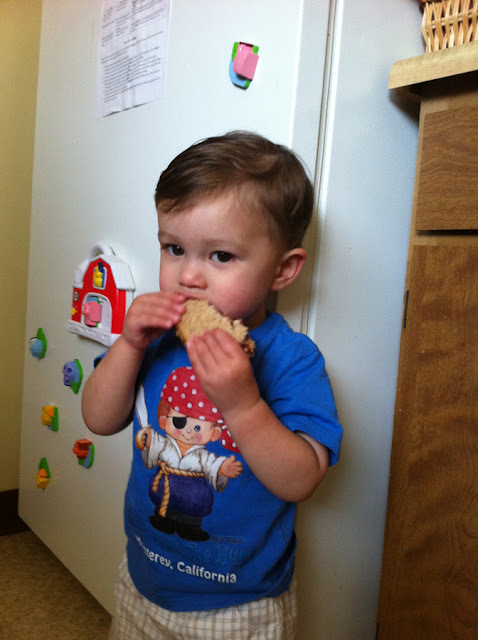 He ate an entire sandwich! And so, he is messy. Again. It's never ending, I tell ya. awww little boys ~ ~ ~ the dirtier the better * love it! Haha how fun! for him I'm sure!! I'm a clean freak too and I can't stand for dirty-ness! haha. Please tell me how you make homemade almond butter. They don't sell it at the commissary over here and I miss it! I'm not sure why, but I've never minded letting the kids get dirty. My house is another story, even though it's a win battle. Cute little guy you have there. 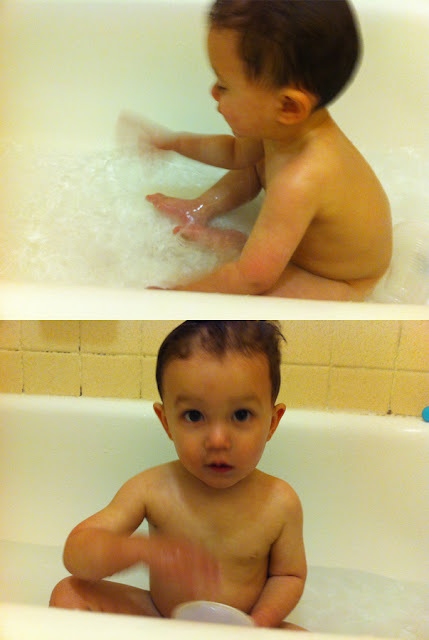 as a mom of two boys if you keep doing baths you will be spending 90 precent of your days there. trust me I learned that lesson with my oldest. 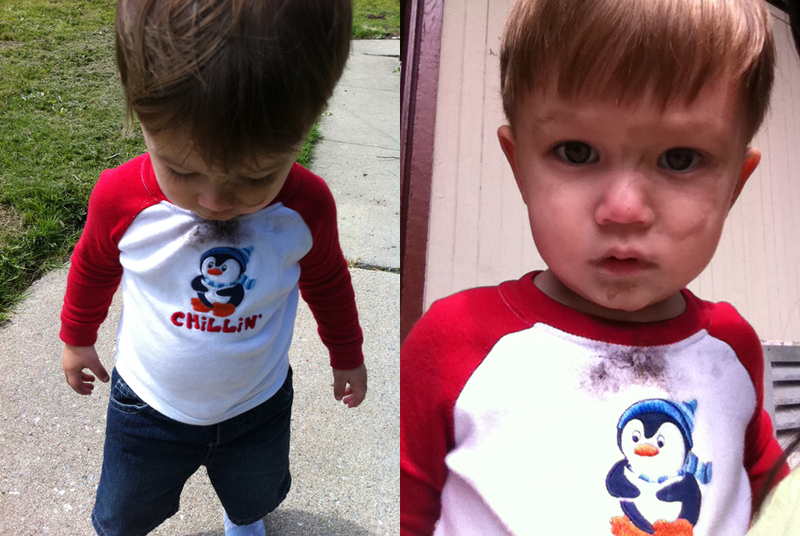 Boys are just messy and get into gross things. Wipes or a face cloth with antibactrial soap will be just fine and save you a lot of time. I am with kara my house is a totally differnt story. My house is always clean at all times! sweet boy! I love it when they have so much fun getting dirty!!!! here from Angel's be wonderful hop. Loving your blog! 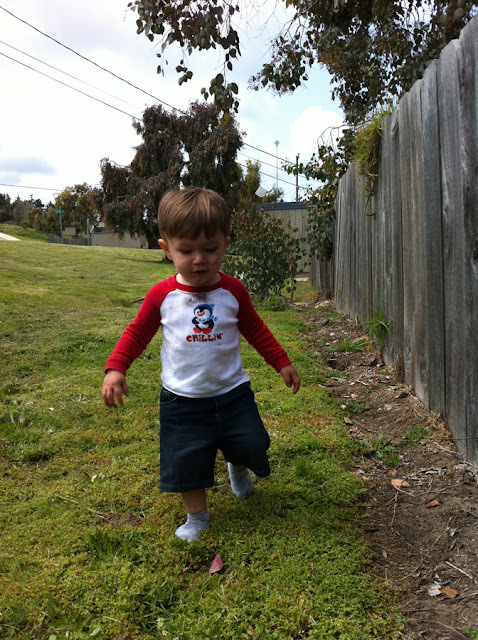 You are braver than I was when my little guy was that age. I still cringe at the dirt he gets into. say concerning this article, in my view its genuinely amazing for me.